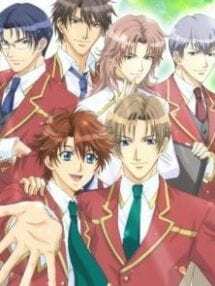 Plot Summary: It all started when Keita Ito received a letter sealed with the initial BL Academy. The most sophisticated all boys, on campus, Academy in the country. Now that Keita Ito is accepted in the school with an average GBA, as well as average skills in sports and writing, he doesn’t think that he belong in there. But with the help from the other students, will he be able to make it in BLA. Megaupload, which most of the files here were hosted on, has been shut down. This means the links no longer work. New links will be posted as soon as possible. Last edited by chiakaiyuki; 01-26-2012 at 07:31 AM. anyone have the new link?? Jajajajaj what's this man? Where did you get this from? Thank you very much. This is a great series. Cute, fun, romantic and interesting! Last edited by BRIDGET; 06-22-2014 at 09:18 PM. *some episodes need to join with HJSPLIT program, before open in .avi format. Last edited by No Time For Losers Ltd.; 12-20-2014 at 08:33 PM.